Lindsey and Ryan had their romantic wedding at the Museum Contemporary Art (MCA) in Chicago, Illinois, on September 16th 2017. 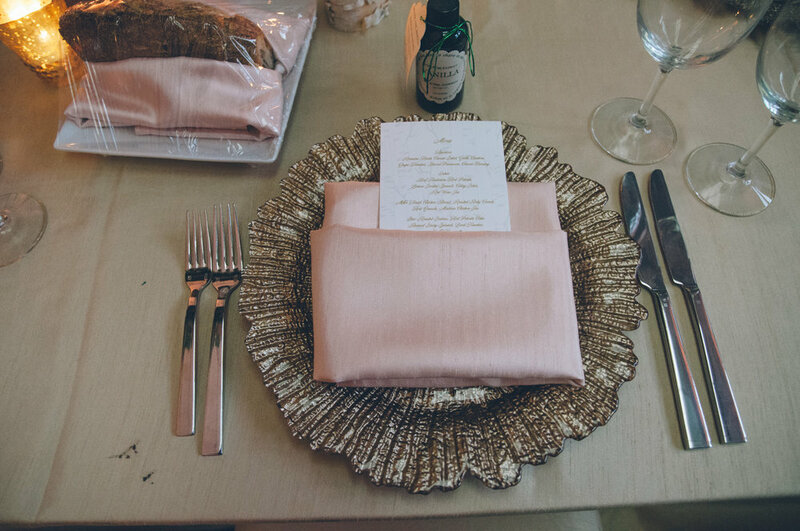 Summer weddings in Chicago are always beautiful, and this one in particular was no exception. 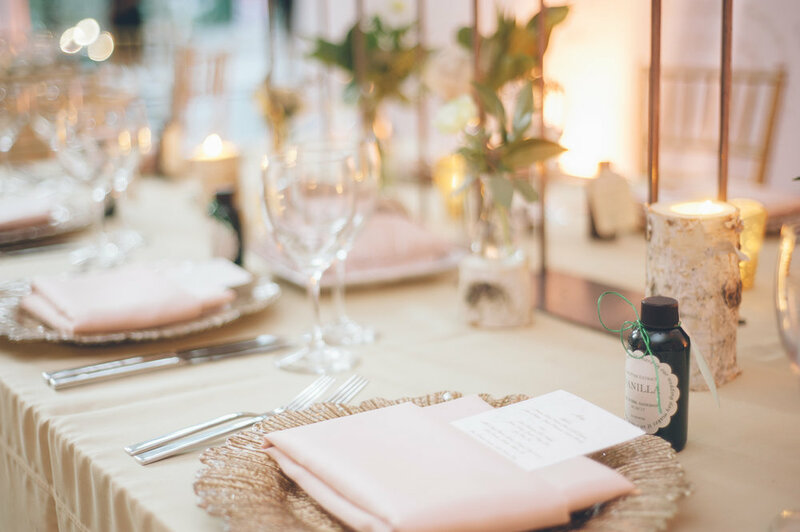 The color palette focused on blush tones, greenery and neturals, it was incredibly dreamy, and not to mention, perfect for a summer wedding in the City. Lindsey and Ryan showcased their personal love story throughout their wedding by adding meaning behind some of their details For example their cake topper highlighted Ryan's home state of Colorado, and their canvas' displayed at their reception are from Ryan's proposal to Lindsey! So incredibly thoughtful and sweet! Another intimate highlighted detail was the song choice during the ceremony. 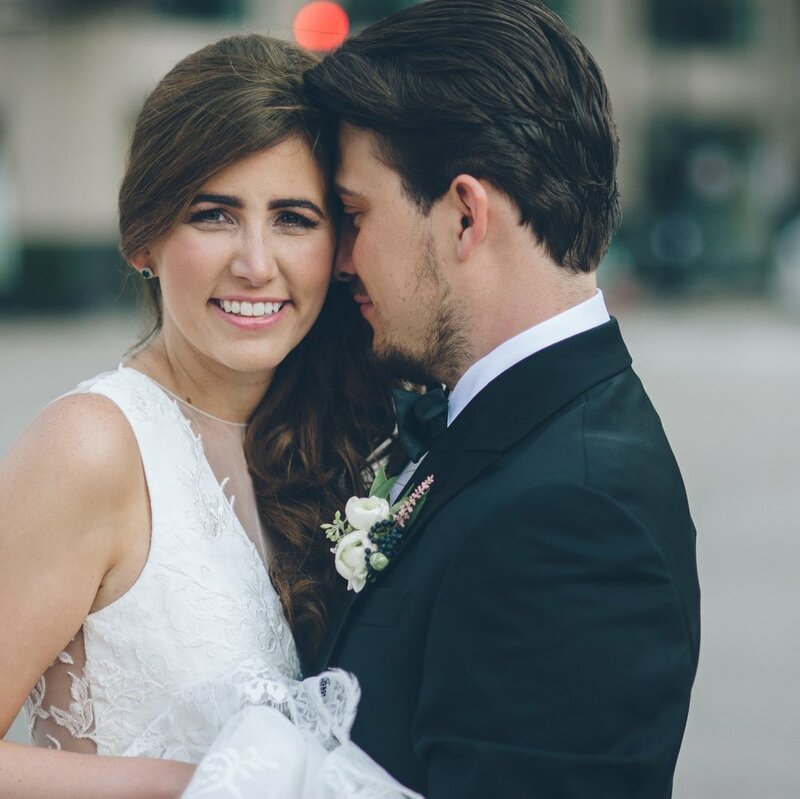 When Lindsey walked down the aisle to meet Ryan, the song "All of Me" by John Legend was playing, this song was the first song that Lindsey and Ryan said I Love You to one another #HeartIsMelting. 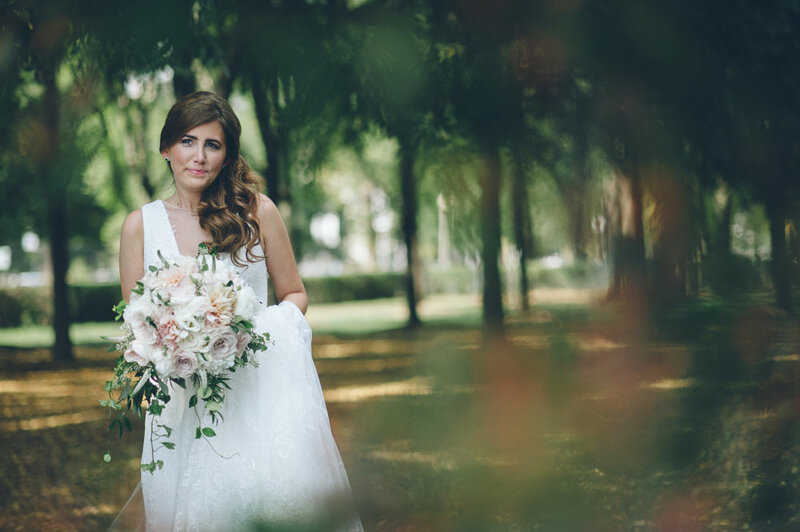 We love how personal, romantic and custom their entire wedding was! 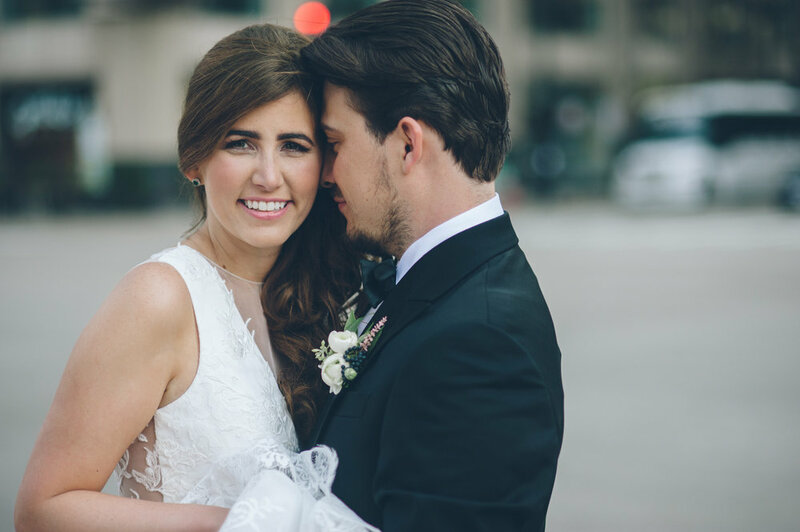 In addition to the couples intentional details (#weddinggoals) Lindsey and Ryan had so many different elements of the City present in their day. 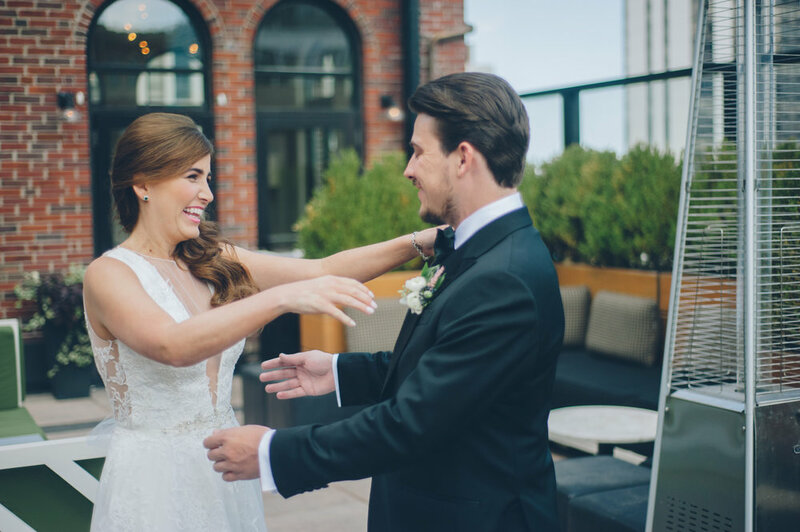 They had their first look at The Drumbar Rooftop Bar at Raffaello Hotel and then traveled via trolley around Chicago. Their pictures below showcase lush green gardens, cityscapes, rooftops as well as traditional shots too. 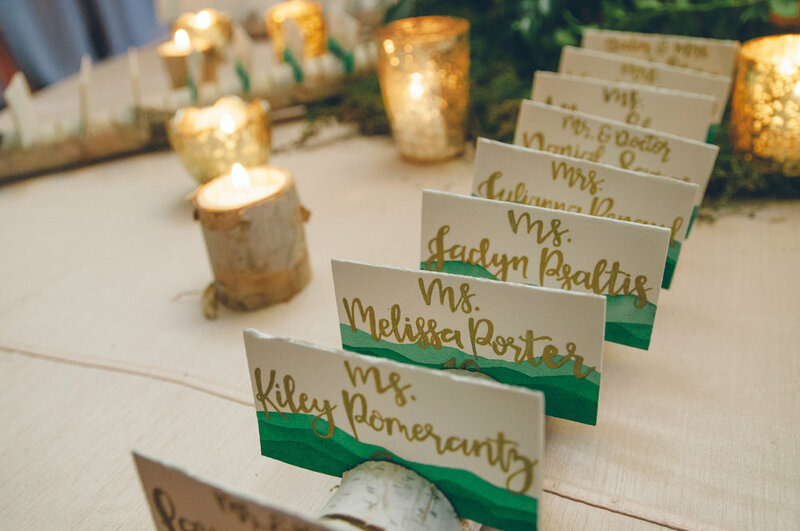 Lindsey and Ryan's reception utilized four different spaces at MCA - very unique and fun for their guests! Also notable, their beloved dog Maddie walked down the aisle! 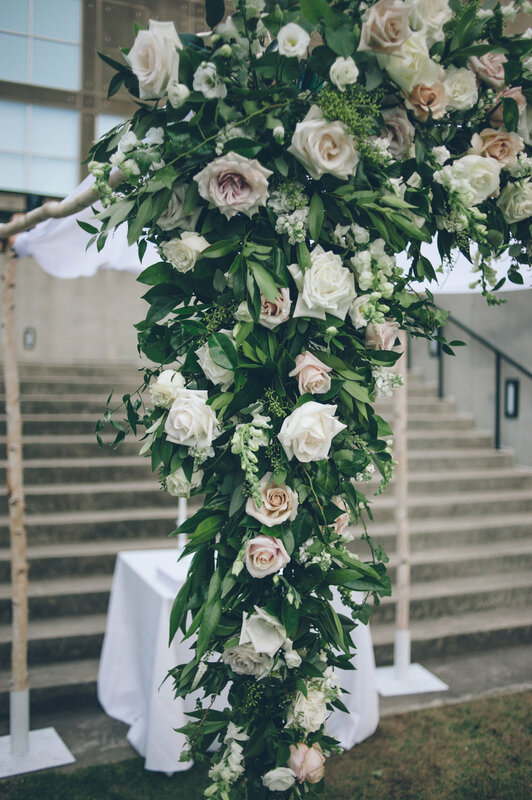 Minneapolis Wedding Planner | Aria - Kristin + Luke's Modern Winter Wedding!